You might be moving away from a desktop computer as your main conputing device so you can have a compact workspace. On the other hand, your existing laptop or notebook computer might be at that point where it is painfully slow and you are staring at that “doughnut ring” or “beach-ball” cursor for too long while the hard disk is chattering away. Similarly you may be wanting to use a portable computer as an auxiliary computer while you travel but use your favourite desktop computer when you are back at your home or office. This buyer’s guide is about the “clamshell-style” portable computers commonly known as laptops or notebooks. Here, it is to update the information that existed in the previously-published buyer’s guide in order to encompass the newer technologies that have affected this product class over the last two years such as the Ultrabooks; as well as my reviewing of laptops that encompass these new technologies. 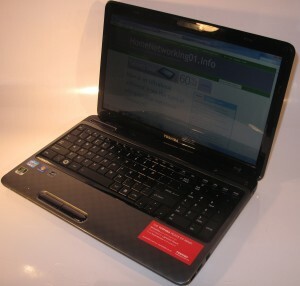 A common practice with computer purchasing is to buy the cheapest laptop available without working which kind of laptop computer will suit the target application. Here, you may end up buying a machine that is too heavy or with computing credentials (processor, RAM, secondary storage) that don’t really match the targeted use. This class of computer was inspired by the “One Laptop Per Child” computer-education project and was based around a low-cost low-power computer model for Third-World countries. They have primarily been sold as auxiliary computers for home or travel use, nut their function has been supplanted by the 10” tablet which runs a mobile operating system such as Android or iOS and can be connected to a small external keyboard either directly or via USB or Bluetooth. Here, these computers have a 10”-11” screen and use a low-capacity hard disk or solid-state drive as their secondary storage. Most of them run on the Intel Atom processor but there are a handful which run on full-system processors. These computers are the smallest size of portable computer that have a full-width keyboard which allows you to touch-type comfortably on them. They also have a footprint similar to the older small portable typewriters that journalists loved using before portable computers came along. They end up in two classes – a fully-functional unit; and a reduced-functionality highly-portable unit. The former class will, in most cases, be thick and have a range of functions like an optical disk drive, large hard disk and plenty of sockets along the side. The latter class is typically very thin and engineered with a long-lasting battery. They will typically have a small hard disk or solid-state storage and eschew integrated optical drives and extra connectivity options. This encompasses the new class of “Ultrabooks” which are intended to be very thin and light as well as starting up very quickly. They are modelled on the Apple MacBook Air lineup of computers and emphasise an accessible beauty about them. On the other hand, most manufaturers are supplying 14” fully-functional notebooks that have the functionality of a regular laptop computer but use a smaller screen. 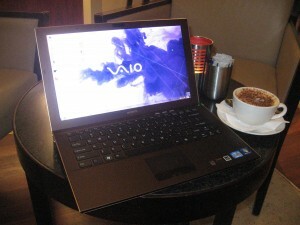 They are really positioned as a “bridge” between a highly-portable unit and the fully-functional regular laptop. 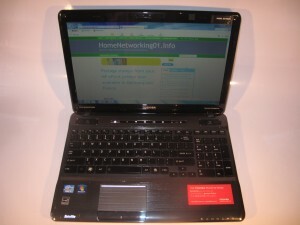 The most common class of laptop computer is a thick unit that has a 15” screen, a mid-tier processor, a hard disk of at least 500Gb, an integrated DVD burner and plenty of connections. These typically can perform most computing tasks adequately and often spend some of their time as entertainment machines. They can be used on public transport but do take up room in this scenario and the battery typically may not last the distance. Typically these computers work as a “transportable” class of computer that is stowed in one’s briefcase, laptop bag or backpack during travel and used primarily at fixed locations. These computers are very large and typically have a 17” screen. 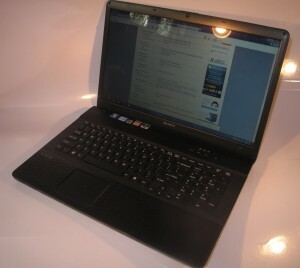 Most such units will have functionality that is close to a desktop computer such as a hard disk in the order of 750Gb or above; discrete graphics chipset as well as the connectivity that is expected of a 15” regular laptop. Some of these units may not come with a battery and are thus pitched as transportable “desknote” computers that are just used at fixed locations. Here, I would recommend them for use as a quick-stowaway alternative to a desktop computer; especially if you always need to set up and pack up your computing environment. 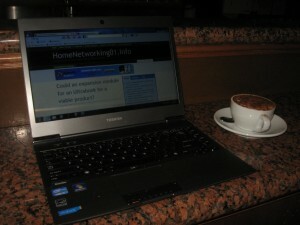 They can also earn their keep if you are in a situation where your workspace at home is the dining or kitchen table. The typical consumer-grade laptop has a design that is focused on aesthetics and is typically optimised for multimedia. It will typically run a consumer-optimised software package that is focused around entertainment and basic office tasks and the operating system will typically have functionality that is suited for a small network. They will typically be sold through large consumer-electronics and home-appliance stores or the electrical departments in department stores. 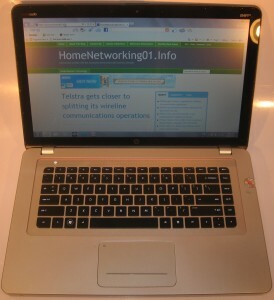 Business-grade laptops are typically pitched for office use in the large business and are sold through value-added resellers or independent computer stores. Yet they are still of value to the small business owner and some consumer groups. They are typically finished in a conservative dark-grey finish and have a software package that is optimised for manageability and data security. The operating system may be a “professional” or “enterprise” variant that can integrate with sophisticated business networks and support this same management. There is also a greater chance that these computers will be equipped with security-enabling hardware like a fingerprint scanner, smart-card reader or “trusted platform module” chipset. Just about all of the laptop manufacturers will run a few model ranges that are focused at the top end of the market or are tuned for multimedia work or enthusiast-grade gameplay. The computers in these ranges will typically command top-dollar prices and there are customers out there who are willing to pay this kind of money for their portable computing experience. These computers place importance on aesthetics and performance and are sold at a price that fits this market position. Typically, they will offer the high-performance processors and discrete graphics chipsets and will most likely have the sound subsystem “worked” be someone in the music recording and reproduction industries. It is also known that the multimedia class of Windows-driven laptop computer is being pitched as a way to “snap at the heels” of the Apple MacBook Pro series, a computer considered to be the graphics and multimedia standard. As well, these computers will come with hardware and software that is optimised for the creation and playback of audio-video content. Most of the premium computers will typically be styled in a manner that makes a user think of luxury, such as implementing styling cues from luxury cars, premium clothing and accessories; and similar products. This may include the product being named after one of the exotic Italian sports cars. Gaming computers may implement an aggressive styling to match the desktop “gaming rigs” and not look out of place at a “LAN party”. 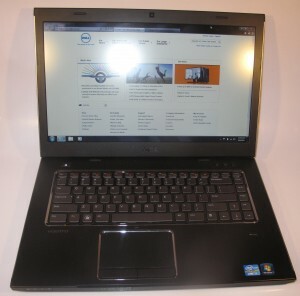 There are a few portable computers like the Fujitsu Lifebook TH550M reviewed on this site, that are equipped with a touchscreen and most of these are sold as “convertibles” where the screen can be swivelled so they become a tablet computer. Some newer variants may use a detachable keyboard or have the screen fold over the keyboard in a pantograph manner. But they are typically sold to the business market and are very hard to come by. The situation may change with Windows 8 where the touch-optimised user experience may bring this feature in to the mainstream for consuner and business-class computers. 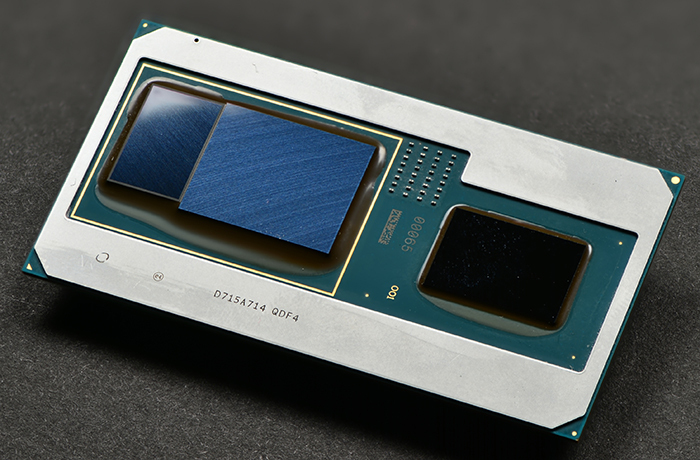 An increasing number of standard laptops are being equipped with dual-mode graphics where there is a discrete graphics chipset as well as the integrated graphics functionality offered by the newer Intel and AMD processors. These are able to switch between the graphics chipsets as a way of allowing for increased power economy or increased graphics performance. This is either done using a hardware or software mode switch or the ability to have certain applications enter a particular graphics mode. But computers implementing the NVIDIA Optimus functionality and some that will use the next generation of the AMD graphics chipset use an automatic changeover mode that doesn’t require any rebooting or other hands-on procedures to perform this changeover. It is important to think of how you intend to use this laptop computer so you can choose the right amount of functionality. 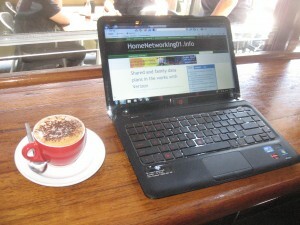 This kind of use may include the “new computing environment” where the laptop is the preferred home or office computer; or can encompass a student’s “college” computer, a work-home laptop or a highly-mobile worker who often is out of home. Here, the purchaser must place importance on capacity and functionality. This includes looking towards high-capacity secondary storage, an optical disk burner, and plenty of connections like USB ports. This would primarily cover most 15”-17” laptops like most of the computers reviewed here. 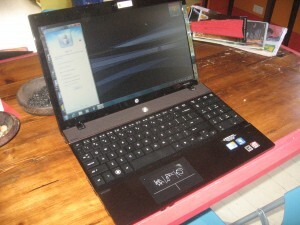 On the other hand, you could prefer one of the highly functional 13” – 14” computers like the Toshiba Satellite L730, the Toshiba Portege R830 with higher-capacity hard disks, the Sony VAIO S Series or the HP Pavilion dm4 Series Beats Edition. These could be used with a large-screen display, large accessory keyboard and regular mouse for a better working environment at your main home and/or office location and I have seen some people have these computers on a laptop stand in order to have a dual-screen setup. Here, there is assumed to be a primary computer, typically desktop or high-end laptop, in place at one or more locations where most work is done and data is stored. 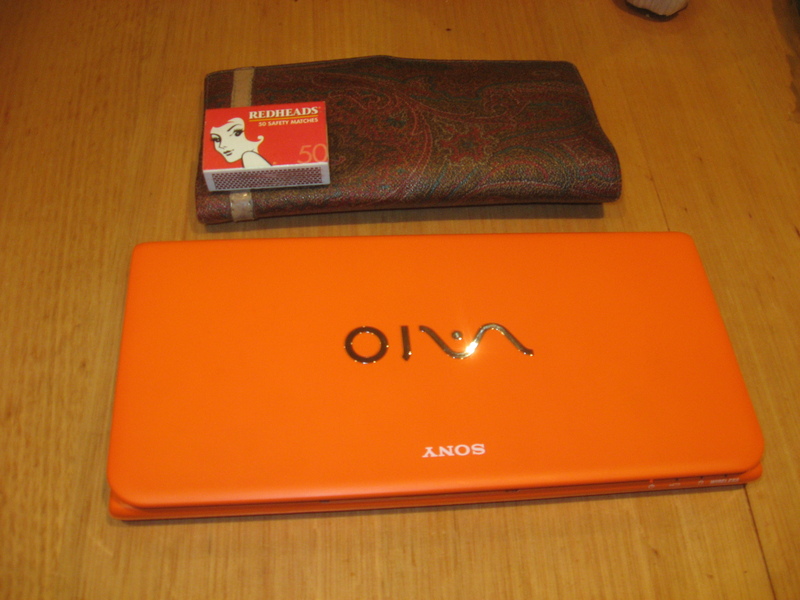 The secondary laptop computer is used primarily as a “travel” or “portable” computer when away from this primary location. The purchasing focus for these computers is to be on portability with less worry about functionality or capacity. Typically the data created on these computers would he held on their secondary storage (hard disk / solid-state drive) then shifted to the primary computer’s secondary storage when the user returns home with these computers. This is in addition to the user using their email, their cloud-driven Internet services or their remote-desktop services with these computers. Another question to raise is the kind of travel the user would be performing with this computer. 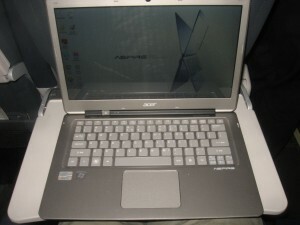 It would also include the likelihood of the user using this computer while travelling. This would determine whether or not it is important to purchase a small lightweight computer. 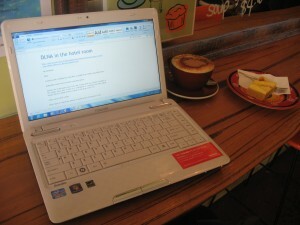 A person who flies a lot or makes heavy use of commuter public transport will more likely be wanting to use the computer through their journey. They also will be needing to carry the computer around with them while they complete the journey, especially as there is an increased likelihood of the user changing between different transport vehicles or modes of transport. In the case of long-distance air travel, there will be the requirements to carry other luggage, deal with security checkpoints and, in the case of international travel, deal with passport control and customs. Here, I would recommend a lightweight computer like a netbook, subnotebook / ultraportable or a “thin-and-light” notebook. 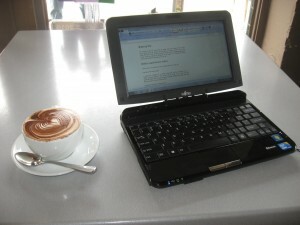 Netbooks, including 10” tablets with detachable keyboards may be good for increased reading and ad-hoc email work. 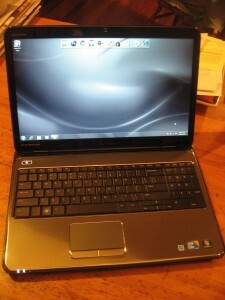 But the 13”-14” computers, including the Ultrabooks, would work well if you intend to create a lot of content. The “standard” 13”-14” notebooks which have the full functionality like integrated optical drives, especially the 14” varieties can be of value if you do place importance on functionality while you travel or you intend to be away for a long time. These may also work well when it comes to playing DVDs on those long flights with low-cost carriers. You most likely will be driving between locations and may occasionally engage in some public-transport travel or air travel. On the other hand. you may be buying a laptop computer because it is the kind of computer that you can quickly stow away in to a cupboard or drawer at home or work. Similarly, your desk may be one of those types that can be easily closed up in to an elegant piece of furniture, and you may want to store the laptop there. Here, you won’t need to care about portability; and you could prefer to buy any of the 15”-17” laptops. They will excel on the functionality and connectivity; and you could even go for the 17” desktop-replacements if you valued the large screen. Your child may be doing their senior-secondary or tertiary studies and it may be time to consider a decent laptop computer for them. The computer will typically undergo a fair bit of rough treatment at the hands of students as they take it between classes, study opportunities, parties and home. This will include travel in older cars which will be likely to have worn-out suspension, As well, the hard disk will typically be the place where school-related data shares space with music to have playing at the next party as well as plenty of digital photos. Of course, cost will be an issue especially if the student is buying the computer themselves or you are unable to subsidise the purchase of the system in a significant way. If you have to place weight on features when choosing a laptop, place the weight on hard-disk capacity due to the fact that a lot of data would end up being stored on these computers. If the student is doing a course that is centred around the creation of graphical works or multimedia works, you should look towards a multimedia-specified computer with a discrete graphics chipset. This allows the computer to perform properly when turning out the graphics elements and doesn’t bog the student down when they create their graphics or multimedia assignments. If the cost is an issue to you, you may want to look for recent-issue refurbished or rebuilt ex-business hardware. These are hardware which a business has done away with as part of their IT-upgrade process, ex-demo / ex-review computers that a manufacturer has taken out of the review and promotion circuit, or ex-lease computer equipment that computer financiers have previously leased or rented to businesses. They will typically be available online or through independent computer stores. Similarly, if you were leasing your business laptop and have come to the end of that lease, you could pay out the residual in order to own the equipment; then have it overhauled by a computer-repair specialist. This could then be a possible solution for providing a student with a decent laptop for their early years at college / uni. But with these deals, it would be worth finding out whether there are new batteries available for these laptops and whether the hard disks in them can be upsized for larger capacities. Similarly, you should also find out whether you can have the latest version of the operating system and office productivity software installed on these computers. This class of user; which includes air or sea crew, oil-rig workers, overseas charity volunteers or business people involved in project-driven establishment work; are often asked to live and work away from home for significant time periods. Typically their home may be the cabin on a ship or oil rig, a hotel room or short-let house / apartment or camping-style accommodation; and they only stay in these areas for the duration of their placement or layover. What they desire is a computer that is easy to pack away and something that is expected to be a computer, music player, video player or whatever. A lot of these users won’t be likely to use the computer through travel except if they are on a ship and are “off watch”. The emphasis here would be on portability and functionality and they should look towards a 14”-17” standard laptop with the integrated optical drive. This class would allow the user to cut down on the number of accessories they have to put away when they shift location yet would be able to play optical media they acquire from local sources. The Ethernet and Wi-Fi connectivity on these computers would let the travellers connect to any network that provides broadband Internet on site. Of course, they would have to make sure they have a high-capacity hard disk and specifications commensurate to their preferred activity. These are people who are expected to create content while they travel. It can also includes those of us who are writing books or constantly preparing manuscript for material like catalogues or newsletters and want to do this work while travelling. It is so easy to think that a netbook or a 10” tablet with accessory keyboard could answer a content-creator’s needs but the main problem with these solutions is that the keyboard doesn’t really allow for fast comfortable typing. This is something of importance when you are creating a lot of text and, in the age of the blog, you may be required to “live-blog” an event i.e. type up details about the event as it happens and publish those details to a blog post or social-media feed immediately. 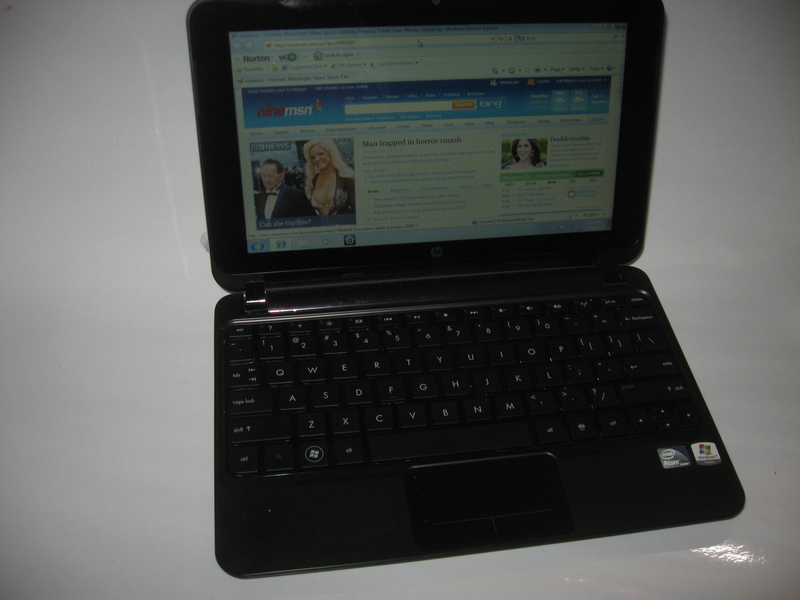 The 13”-14” subnotebooks / ultraportables, including the Ultrabooks offer the ideal of a compact travel-friendly computer yet have a large screen and a keyboard that allows for the fast and comfortable typing. Typically they can be accommodated on your lap without overwhelming you and can occupy the economy-class airline tray table with room to spare for a drink or notes. 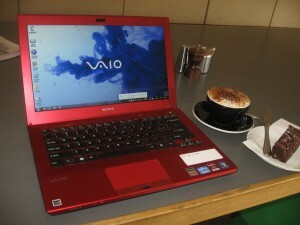 Here, you could go for a full-function computer like the Sony VAIO S Series or the Toshiba L730 or R830 if you use this as your main computer or are likely to place emphasis on functionality. On the other hand, one of the new Ultrabooks can suit your needs better if you have a primary computer at home or work and you intend to just use it for travelling. The laptop’s secondary-storage capacity is very important if you do take photos or video footage as part of creating your content. Here, you could go for a unit with a hard disk in the order of 320Gb to 500Gb whereas if you are thinking of primarily text-driven work, a solid-state device in the order of 128Gb to 256Gb can suit your needs better. These users will typically be taking the computer between their home and their workplace, usually by stowing it in a briefcase that is slung over one’s shoulder or thrown in to the car boot for the work-home journey. This may include some users who use the computer at the client’s location when they visit their clients. A 15” business laptop could suit this kind of user because these computers offer better protection options for the data held therein. It may be also worth investigating a 17” business “desktop-replacement” if you just simply take the computer between the office / shop and home; and value that extra screen size. If you are moving away from the traditional desktop computer towards a laptop-based “new computing environment” where portability is the focus, I would suggest that you look towards a unit that has capacity and performance that answers the original desktop’s main functions. Here, most 15”-17” laptops would fulfil this need, with the 17” desktop-replacements satisfying this need closely. Most householders could get by with a mainstream consumer laptop or a low-end business variety for their household’s use while a mainstream standard business laptop can satisfy most small-business owners’ needs especially where business security and continuity is imperative. But I would recommend that anyone who is dabbling in heavy graphics and multimedia work prefer a multimedia laptop. This also includes people who are using their computers as part of DJ work. It is because these computers are typically optimised for the workload and expectations that heavy graphics and multimedia work can ask of a computer. Once you have gone through this buyer’s guide, you will be able to choose the right laptop that will work perfectly to your needs.